JD.com has achieved a rich price despite poor governance. China’s second largest e-commerce group priced its shares above the expected range on May 21, raising $1.8 billion. Investors in the initial public offering seem unfazed that the company just disclosed a 5.3 billion yuan ($849 million) loss in the first quarter of 2014, caused by a gift of stock to the company’s chief executive officer. Such a large and unexplained act of generosity should raise red flags. At the price of $19 per depositary share – worth two ordinary shares – the company is worth over $25 billion. Assuming its top line grows at the same 31 percent rate as the Chinese market is forecast to expand this year, that suggests a valuation of 1.7 times forecast revenue for 2014. Amazon, in comparison, trades at 1.5 times the same year’s sales. That looks reasonable given rapid growth. Profit, though, is elusive. JD.com in March revealed that it had rewarded chairman and chief executive officer Richard Liu some 93.7 million more shares, which it quaintly referred to as “immediately vesting restricted stock units”. But on May 19 it said that the one-off expense would create an accounting hit of $591 million. That’s on top of the losses it is already making from investing heavily in its logistics network. Liu doesn’t obviously need the extra incentive. His stake in the company is worth over $4 billion. The gift merely keeps his stake above 20 percent after selling 3 percent in the IPO, though even without it he would have over 80 percent of the company’s votes thanks to super-voting shares. The company hasn’t bothered to explain what conditions, if any, apply. There is no indication Liu has to hang on to his new shares for a specific length of time. For now, investors are willing to overlook JD.com’s red flags and focus on its operational prospects. That’s encouraging for chief rival Alibaba, which is also hoping to sell an unusual governance structure to investors in its own IPO later this year. But it is a big risk. Investors are buying into Liu’s expertise, but they should be under no illusions about who’s getting the better deal. A woman walks past a advertisement board of Jingdong Mall in Nanjing, Jiangsu province May 7, 2013. China’s second largest e-commerce group, JD.Com, priced its initial public offering at $19 per American Depositary Share, exceeding the expected range of $16 to $18, on May 21. The company aims to raise $1.8 billion in the offering, and would have a market capitalisation of more than $25 billion. JD.com reported a net loss of 5.3 billion yuan ($848.5 million) in the first quarter of 2014, compared to a net loss of 952 million yuan in the same period last year, according to its latest filing. 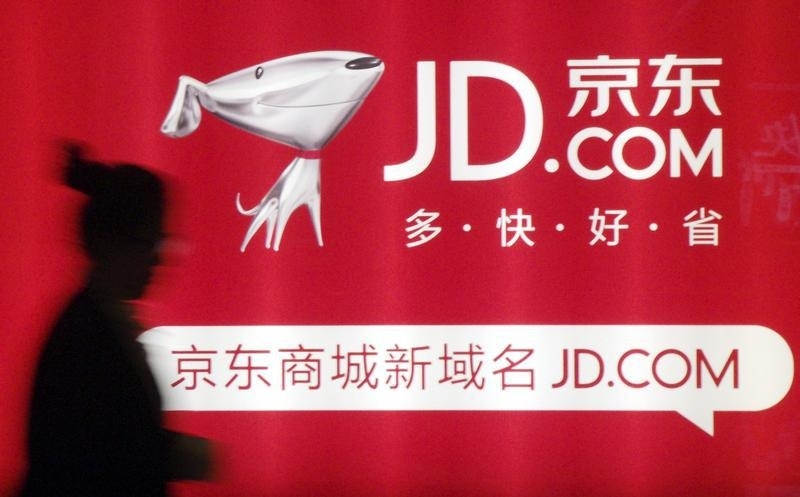 The loss was mainly due to a share-based compensation expense, in which the company granted “immediately vesting restricted share units” to JD.Com’s chairman and chief executive officer, Richard Qiangdong Liu, worth $591 million. After the IPO, Liu will have a 20.5 percent stake in the company, according to Breakingviews calculations based on details in the filing. He will also hold 83.7 percent of the voting power. One ADS is equivalent to two of the company’s ordinary shares.